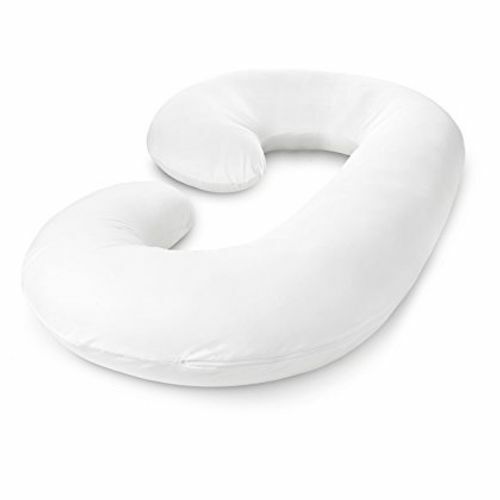 Hush Maternity Pillows are body long pillow that is especially useful to those who enjoy sleeping on their sides. The top portion of the pillow can be used to support the head and neck, while the bottom supports the knee and legs. It ensures better blood circulation and is highly recommended for use during pregnancies too. This pillow comes with a complimentary 300 thread count, white, self-stripe pillow cover. About the brand: A pioneer in sleep segment, Hush delivers premium comfort experiences to pamper the mind body and soul.The brand creates perfect mattresses, bespoke pillows and delightful duvets, all crafted with utmost care to ensure that you sleep sweet.Introducing repertoire of sleep products ranging from plush pillows made from imported, virgin grade fibers, mattresses seamed with utmost precision and springs made from the highest grade steel, each of the product is crafted with precision and care. Explore the entire range of Maternity Accessories available on Nykaa. Shop more Hush products here.You can browse through the complete world of Hush Maternity Accessories .